Q: What if we already have a zip or spare hard drive? Q: Where are your servers located and does my data leave Canada? Q: Are my files readable during the transmission through the internet and readable by anyone on the server? Q: If I have a disaster, how do I restore my data? Q: I use my webhost and/or ISP to backup my data, isn't that good enough? Using a tape backup system and a remote backup system offers the best of both worlds. Critical files, like billing, customer contact files and databases can be kept on the remote backup system. While, the tape system can be used to create a full backup of the entire system once or twice a month, instead of on a daily basis. The tapes and drive will last longer and require less maintenance. The remote backup system can provide a quick and easy way to retrieve critical files and databases without the hassle of searching through tapes and yet provide the assurance that your data will still be safe from vulnerabilties such as fires, theft, viruses, or other threats, etc. Frankly, we believe that it is not optimal for most users. Users should not use a zip or other removable disk media for backup. A remote backup service is completely automated and has the required file redundancy to protect important data. The only safe way to use a zip drive for backup is to have three disks and make the same backup three times. That way when one of the disk fails you are still protected. However, the disks are still onsite and are vulnerable to damage, theft, fires, etc. Offices with high-speed internet connections should find this service comparable with tape drives. Dial up users will be able to do incremental backups in thirty to sixty minutes. The initial backup can take several hours to complete. We recommend backing up the most important files first and then selecting other files as the backup progresses. Or, the initial backup can be run over the weekend. Also, we can come to your office and make the initial backup of your system. The data is immediately stored off-site using an automated backup system. Also, only an internet connection is needed. Completely eliminating the need for expensive backup equipment and media. And, since the system is automated, manual labor is eliminated. To build your open backup system may costs thousands of dollars for the infrastructure. Our data center is located at 151 Front Street, Toronto Ontario Canada, The International Telecom Carrier Hotel and Data Center. Our offsite Data Center consists of state of the art fiber optic technology and biometric security to enter the premises. We meet the requirements of our clients who have regulatory compliance policies where all data stays within Canada. Very Secure. All files are encrypted using Blowfish or DES encryption which is selected by the user with their own personal encryption code which is only known by the user of the system. Blowfish encryption has never been broken by a hacker. DES is used by the national banking system. Adopted in 1977, DES is based on a conventional or secret key system in which the sender and the receiver use a single key to encrypt and decrypt data. The sender uses the key to convert the data to scrambled format according to a complex mathematical algorithm, and only customers with the correct key can successfully decrypt the data. Having a key length of 64 bits, 56 are used as a key, while the remaining eight are used to check for errors. The DES algorithm will encrypt data in the same amount of space used by the original data. The user selects which one of more than 72 quadrillion transformation functions are to be used by selecting a 56-bit key. The theory behind the security of DES has been that, short of trying all 72 quadrillion combinations, there is no way to "break" the algorithm. Blowfish was designed in 1993 as a fast, free alternative to DES. Unlike DES, however, the Blowfish algorithm has a variable key length, which can be extended from 32 bits to 448 bits. Blowfish continues to gain acceptance in the marketplace because is faster and more secure than DES. Blowfish has never been compromised by a hacker. No. The encryption password is set by you, the user and no one else can unencrypt the files without your password in your secure directory on the server. If you lose your password for the encryption, you lose your data! Keep your password in a safe place. To quickly restore you data, you may use our WebRestore feature, where all your encrypted files are viewable by a web browser on our SSL encrypted web servers. You or your staff may continue to work accessing the files needed. You may also download the files you need quickly or to do a full restore, simply re-install our software on any computer/server and all your files will be downloaded. Absolutely Not. Your webhost could also be vulnerable to viruses, fires, theft, etc. An independent third party such as Dr Data� ensures that your data is protected at all times at our secure facilty. "Do not keep all your eggs in one basket" especially when it comes to your company data. 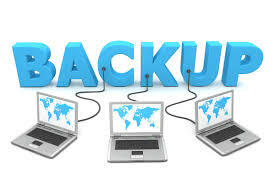 We guarantee that your backups occur nightly and are secure in our data vaults.